Meh, they're nice but they're nothing compared to the current kits. FCBayernMunchen wrote: Meh, they're nice but they're nothing compared to the current kits. Totally agree... the with one I don't like it too much and I HATE the green one... what has green to do with germany???.. I mean ROT, SCHWARZ, GOLD....besides Mexico Home kit is green, Nigeria has green,Cameroon has green, North ireland has green too!! "Wathever happens, believe in you, believe in tomorrow, believe in everything you do any time"
BrigitteSSR wrote: what has green to do with germany??? 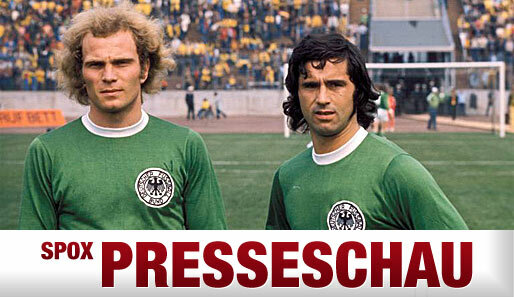 Germany has had green away shirts in the past... the new one also has that retro feel to it. 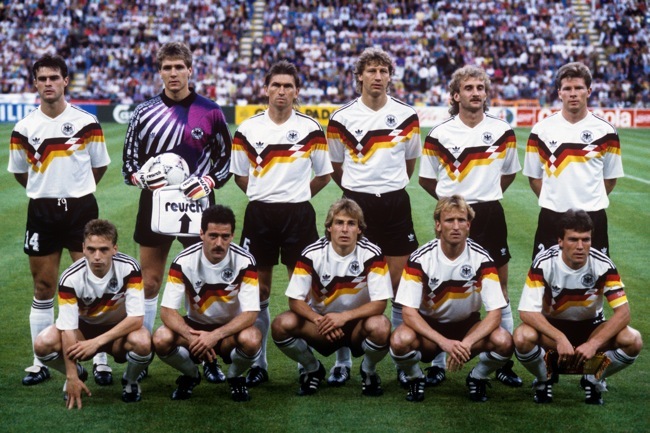 Germany have had a few iconic shirts in the past, World Cup Italia '90 and USA '94 especially. But not a big fan of this effort. I don't like the collar, especially with the pinstripe diagonal lines, makes the strip look a bit lop-sided. The green one looks like a goal keeper top. the green kit has 1972 written in it. what does that mean is it something to do with the first european championship title? And about the first jersey... I like it, but the 3 stars should be Black, Red and Yellow or at least the badge should be in that kind of polygon like in the world cup.